Hand-picked levels. 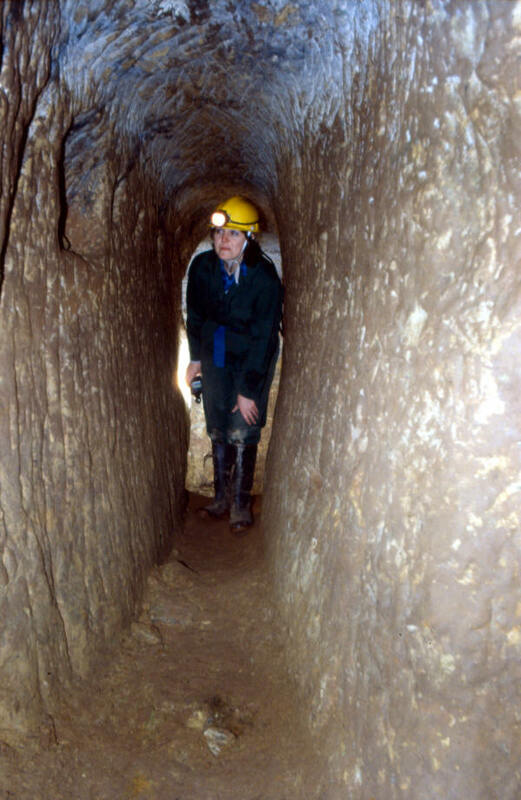 These passages (named coffin levels after their shape) are found in mines prior to the late 19th century and are dug mainly by hand picking. Explosives were used in small quantities and shot-holes have been found in Brynlow (end of main adit) and Engine Vein (Blue Shaft passage). 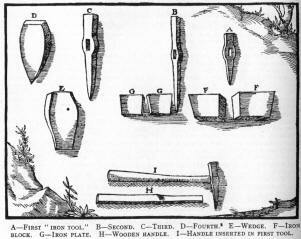 (Left) Hand tools. Most of the work was however done with iron tools such as those illustrated on the left from the 16th century book: De re Metallica. The common technique was to mine a groove down each side of the passage ahead and then to break out the 'island' of rock left in the middle. Some of the passages are so small they must have been dug by children.